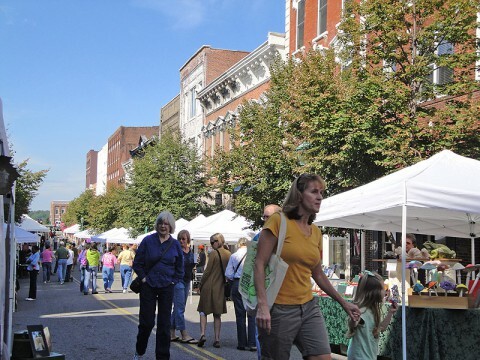 Clarksville, TN – Downtown Clarksville’s 8th Annual “Frolic on Franklin: A Celebration of the Arts” will take place Saturday, September 14th from 9:00am-3:30pm. The free event will showcase the works of 20 local and regional artists, staged and roaming entertainment, artists’ demonstrations, and baked goods – all along the 100 block of historic Franklin Street. A variety of original fine art, as well as handmade crafts, will be on display including paintings and photography, handmade toys, wood-turned items, quilts, fabric purses and totes, pottery, wreaths, hand-painted signs, jewelry, woven and knitted items, and seasonal gifts. Items will be for sale with prices ranging from $2.00 – $250.00.